I am the Director of 42ACCMCC, the 42nd Australasian Conference on Combinatorial Mathematics and Combinatorial Computing, to be held at UNSW on 9 - 13 December 2019. I was one of the organisers of the Women in Mathematics Special Interest Group (WIMSIG) Conference, a Celebration of Women in the Mathematical Sciences, which was held at the University of South Australia on 24 - 26 September 2017. This was the first such conference of its kind in Australia, and attracted 190 participants. All research talks were given by women. 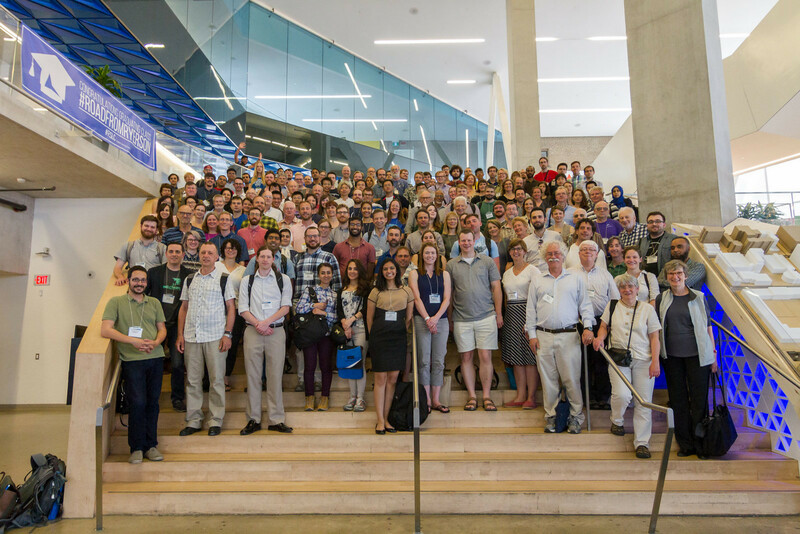 I was on the Programme Committee of CanaDAM 2017, the 6th biennial Canadian Discrete and Algorithmic Mathematics Conference, held at Ryerson University, Toronto on 12 - 15 June 2017. I was lucky enough to be able to attend too: my first CanaDAM. I was one of the organisers of the workshop Approximate Counting, Markov chains and Phase Transitions which was held at the Simons Institute Berkeley, on 22 - 26 February 2016 as part of the program Counting Complexity and Phase Transitions which took place at the Simons Institute from January to May 2016. I am an Editor-in-Chief of the Electronic Journal of Combinatorics. (Earlier, I was Managing Editor.) I am a member of the Editorial Board of The Australasian Journal of Combinatorics and a member of the Editorial Advisory Board of Special Matrices. I am a member of the Combinatorial Mathematics Society of Australasia (CMSA) . The CMSA organise the annual ACCMCC conference series (Australasian Conferences on Combinatorial Mathematics and Combinatorial Computing), usually held in December each year. Every 10 years ACCMCC becomes ICC, an International Combinatorics Conference. This year the 42nd ACCMCC will be held here at UNSW, on 9 - 13 December 2019. The CMSA publish the Australasian Journal of Combinatorics, which is a "Diamond Open Access" all-electronic journal (free for authors, free to read). I am also a member of the Australian Mathematical Society and the Institute of Combinatorics and its Applications. I am a member of the Faculty of Science's Equity, Diversity and Inclusion Working Group, founded in 2017. I was a member of the University Promotions Committee for promotions to level D (2015 - 2017). Before that, I served on the Faculty Promotions Committee for promotions to level C in 2013 and 2014. I am a member of the School's Executive Committee and the School's Equity and Opportunity Committee. I am a member of the Ally@UNSW Network. I am one of the organisers of the School of Mathematics and Statistics annual Girls Do The Maths workshops. This year's workshop will be held on Friday 20 September 2019. The Girls Do The Maths workshops are for female high school students in Years 10, 11 and 12 who are interested in mathematics and would like to know more about where the study of mathematics and statistics can take them. Our workshop participants experience a packed program with guest speakers, information sessions, a campus tour and input from some current UNSW mathematics and statistics students. I developed an online professional development course Networks and Paths for high school teachers, to cover the content in the new syllabus on Networks and Paths, Year 12 Standard Mathematics Topic MS-N1. This course now runs quarterly on the OpenLearning platform and is accredited by NESA.